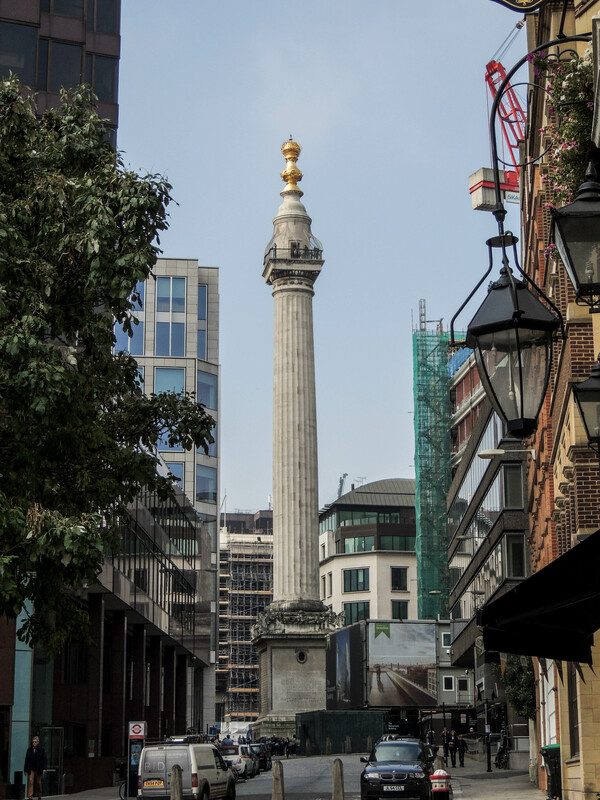 The Monument is located close to London Bridge and commemorates the Great Fire of London, which began on 2nd September 1666 and burnt for 5 days before it was eventually stopped, in the process destroying 13200 houses, St Paul’s Cathedral and 87 other churches. The Monument was designed by Sir Christopher Wren and Robert Hooke and was erected between 1671 and 1677 on the site of St Margaret fish St which had been destroyed in the fire. It is 62m tall and stands 62m from the site of Thomas Farriner’s bakers shop in Pudding Lane, where the fire started. There are over 300 steps from ground level to the observation cage near the top, which gives a good view over London.